Addicts and Alcoholics affect at least 5 other people while they are actively using drugs and alcohol. The family is usually the most adversely affected by an addict’s behavior, and has probably spent years of their life focused on and worried about their loved one, who has been suffering from the disease of addiction. By the time someone gets into long term treatment, the family has probably tried just about everything to help their loved one and has experienced emotional pain, anger, sadness, and great amounts of fear on a regular basis. The family also has asked themselves numerous questions like: What did I do? Is it my fault? How can I fix this? Often times an addict will blame, manipulate, control, and lie to their family in order to continue using drugs. This behavior isn’t because they don’t love their family, it is because when an addict is using drugs they love the drug more. An addict can’t stop using because their family loves them or because they love their family. Love isn’t enough to heal an addict or make them stop using. If that was the case we wouldn’t have the need for treatment, because a parent’s love would be enough. So, what is enough? What can the family do? 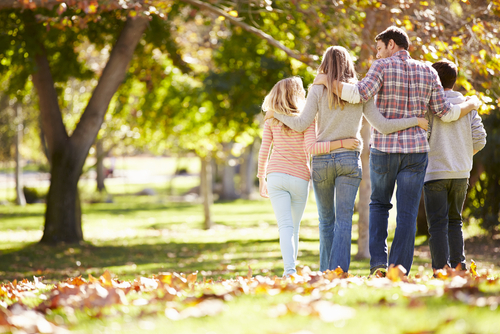 How can a person get clean and sober with the family’s help? Many times a family will say “They are the addict, they need help” and then say “I’m fine, I don’t have a problem, if they get clean I’ll be fine”. That would be true if the above statement about every addict affecting at least 5 people wasn’t true. A family needs as much help to recover from this devastating illness as the person who is the addict. Research has shown that an alcoholic/addict has a better chance of remaining clean and sober (long term) if their families are included in their treatment and participate in their own form of recovery and therapy. There are many organizations out there that are designed specifically for the family members of alcoholics/addicts. There are 12 step groups like Al-Anon & Nar-Anon, based on the same 12 steps of Alcoholics Anonymous. There is an organization called PALS (Parents of Addicted Loved Ones) and Families Anonymous in certain areas of the country. CoDa (Codependents Anonymous) is another group for people who suffer from codependency, which can be a symptom of living with an alcoholic. 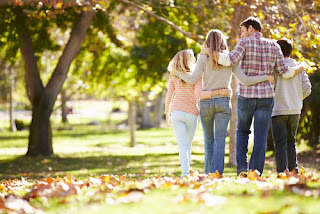 The best way for an addict to heal fully, once the detox is over and they have committed to live a life of recovery, is to have their families be a part of their ongoing recovery and treatment. Addicts want to reconcile and heal their family relationships and so do the families. They cannot do this alone because of the devastating effects of the abuse on themselves and their family. This is why family workshops and support groups are so important. It allows the family and the addict to share the same language and gives a frame work for the healing to begin. It takes time but eventually both the addict/alcoholic and the family come to the same conclusion “I can’t control it” “I didn’t cause it” and “I can’t cure it” alone!